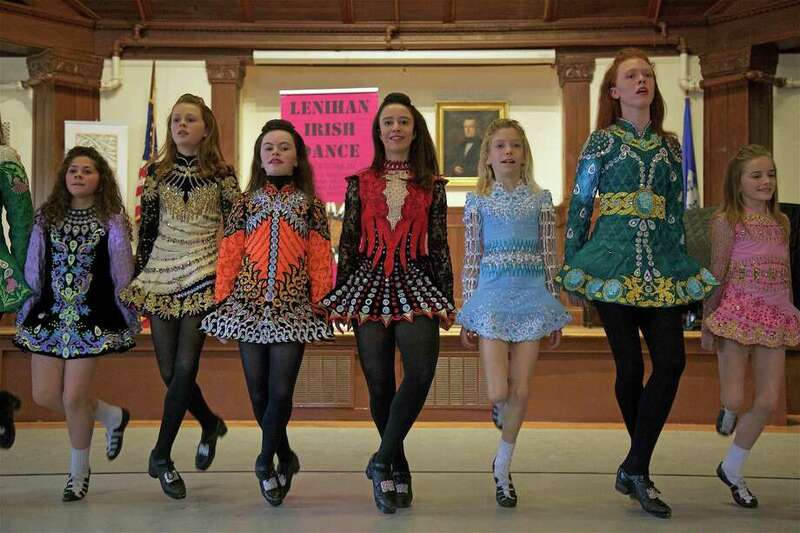 A row of colorful costumes at the performance of the Lenihan Irish Dancers at Pequot Library on Saturday, March 16, 2019, in Fairfield, Conn.
FAIRFIELD — “They work so hard, but they love it,” said parent Leslie Ford, of Fairfield, whose daughter performed with the Lenihan Irish Dance academy on Saturday morning at Pequot Library. Good that they would love it, as according to owner Meghan Lenihan, they will have done 35 separate shows over the St. Patrick’s Day weekend. There was a big crowd on hand to see the two dozen dancers, who performed a range of traditional dances, and also taught some beginner steps for new potential dancers.